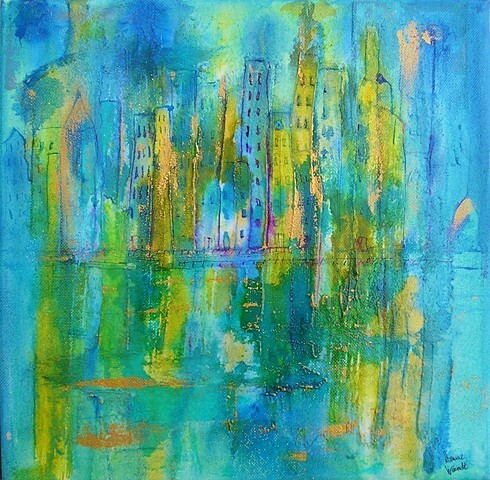 City by the Bay is an original intuitive painting. A Modern style Piece with wonderful texture and bright beautiful blues, greens,and gold color. The painting depicts a City by the Bay. This Painting is painted on a stretched wrap around canvas and measures 12" X 12" square.